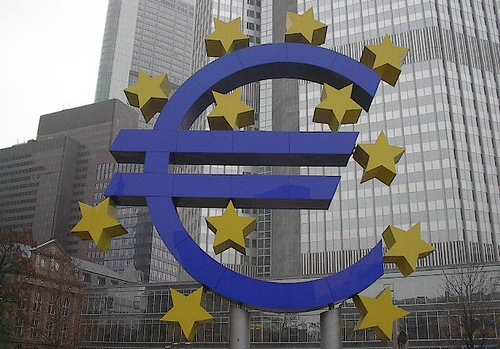 Matthew Rao explains how Germany has been the Eurozone’s worst enemy rather than its saviour. Since the Eurozone descended into despair in the aftermath of the Global Financial Crisis, Germany has awarded itself the position of chief economic lecturer. 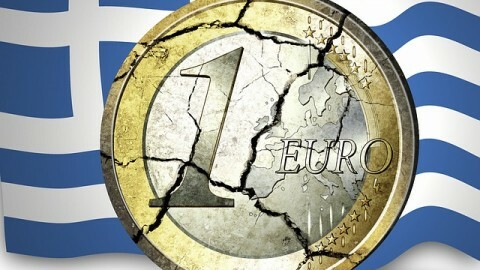 They have been quick to suggest and even quicker to impose deflationary and austere policies on countries in the region such as Greece, Italy and Spain, demanding that they balance their books in the process. Meanwhile, Germany has maintained strong budgets and restrained its consumer demand, relying on its robust export sector to keep the economy ticking. Although this may seem to be somewhat irrelevant in regards to the recovery of southern Europe, the German unwillingness to become the main spender in the region is severely hampering the recovery. Some may point to the German economic revival over the last decade or so, in which they evolved from a country saddled with deficits to an economic powerhouse, as a good example of how an economy can transform itself solely through making tough decisions. However, when examined more closely, you’re forced to notice the potholes in this narrative and the inherent hypocrisy of Germany’s demands. Germany was in dire economic straits in the early part of the century. Unemployment was quite high and growth was relatively stagnant. This changed dramatically over the course of the decade as growth and employment boomed without the customary spike in inflation. The rise in German economic growth was parallel with the creation of the Euro and the subsequent flow of capital into the periphery. This inflow of capital came at a cost for these nations, namely runaway inflation. While it is true that Germany has a relatively productive workforce, it stretches credibility and economic theory to dismiss the notion that rising inflation in the region for a number of years had little effect on improving German competitiveness. Germany’s growth was – and still is – heavily export-based and the spending spree the periphery nations embarked on, coupled with rising labour costs in those countries as a result of the capital inflow, provided the perfect conditions for Germany to prosper through export-led growth. This allowed Germany to experience a rise in GDP and employment while being able to impose sensible fiscal measures to help stem the tide of inflation. Therefore, it might not seem so outlandish to suggest that Germany may be somewhat indebted to these periphery countries rather than it being the other way around. Regardless, it should be obvious that what Germany is demanding of the periphery, namely to boost their competitiveness and growth through cuts to spending, aimed at driving down labour costs and deficits, without any external net spender to make up for the massive decrease in consumption, is incongruent with the German success story. The relentless austerity the Germans have imposed and demanded from the periphery has caused nothing but pain. Forcing southern Europe to cut back on spending has meant that domestic demand has fallen sharply, therefore drying up the income and spending stream, resulting in ridiculously high unemployment rates and debt levels. Germany, for the most part, instead prefers to put this down to the inherent laziness of the Mediterranean nations and their unwillingness to work for what they want. Many Germans resent the seemingly never-ending bailouts for countries that they don’t believe deserve them in the first place. While it would require a lot of gall to defend Greece’s culture of corruption and fiscal irresponsibility, one can’t accuse this of Spain. Spain had a strong budget surplus before the crisis and relatively low debt levels, very similar to Germany. Why then should Spain in any way be lumped in with the likes of Greece in this regard and suffer the inevitable dose of austerity that follows? It is long overdue for Germany to accept the positive role it can play in a real European recovery and to stop acting surprised when deflationary policies have deflationary results. Since the periphery nations can’t restore competitiveness through a devaluation of their currency, as they don’t have one of their own, they need to rely on other measures. This is where Germany steps in. 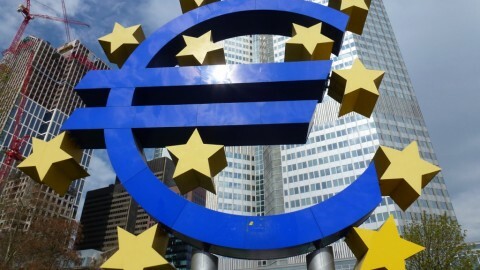 If they decide to become the Euro’s net spender, which they can afford to, they will be providing the conditions that mirror the ones that allowed them to thrive in the preceding decade. It’s a much healthier way of increasing the peripheries’ competitiveness than pushing them towards deflation. Of course for Germany to do this, they will need to accept rising prices in their own economy, and before they do that, they will need to rid themselves of their deeply ingrained fear of inflation. This fear stems from the belief that the German hyperinflation of the 1920’s supposedly led to the rise of ‘He who must not be named’ in the 1930’s. I say ‘supposedly’ because the evidence suggests that the remarkably rapid rise of Hitler was much more to do with the Great Depression than anything else, but that’s a different argument for a different time. There are welcome signs that Germany may be finally lifting their foot off the austerity pedal as of late, with the Bundesbank indicating that they are willing to support European Central Bank (ECB) measures to ease monetary policy further, as they did recently when they implemented negative interest rates. However, this really is the embodiment of ‘too little, too late’. The euro has been a debacle for almost five years now, and there is a hell of a long way back for economies such as Spain and Greece, which are saddled with 25% unemployment and 175% debt to GDP ratios respectively. By the way, that is a debt crisis. Whether the euro implodes completely or descends into a Japan-like economic stagnation over the next few decades, it will be in large part due to Germany’s insistence on demanding the impossible, namely reducing debt without revenue and restoring competitiveness without reciprocation. The views expressed within this article are those of the author and do not represent the views of the ESSA Committee or the Society's sponsors. Use of any content from this article should clearly attribute the work to the author and not to ESSA or its sponsors. Copyright © 2017, The Economics Student Society of Australia.